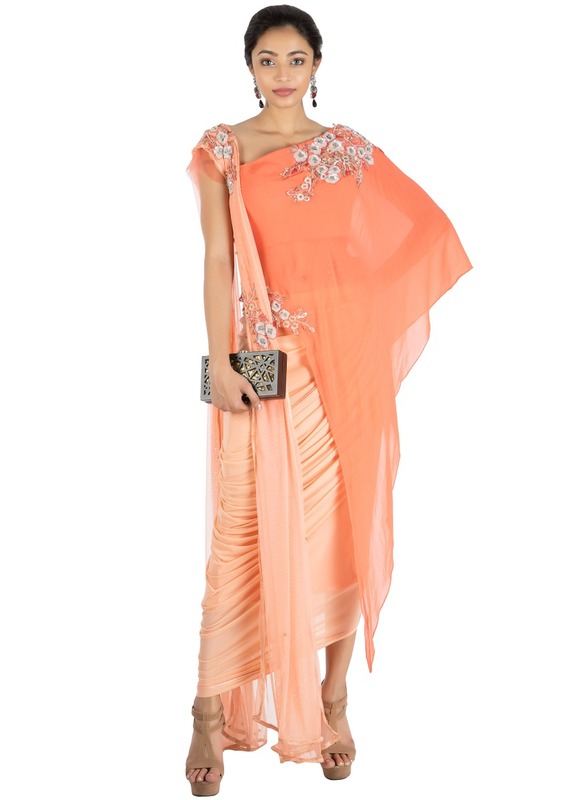 PinkFeaturing a Salmon Asymmetrical Cape Top With Drape Skirt beautifully embroidered with sequins and cutdana boota. 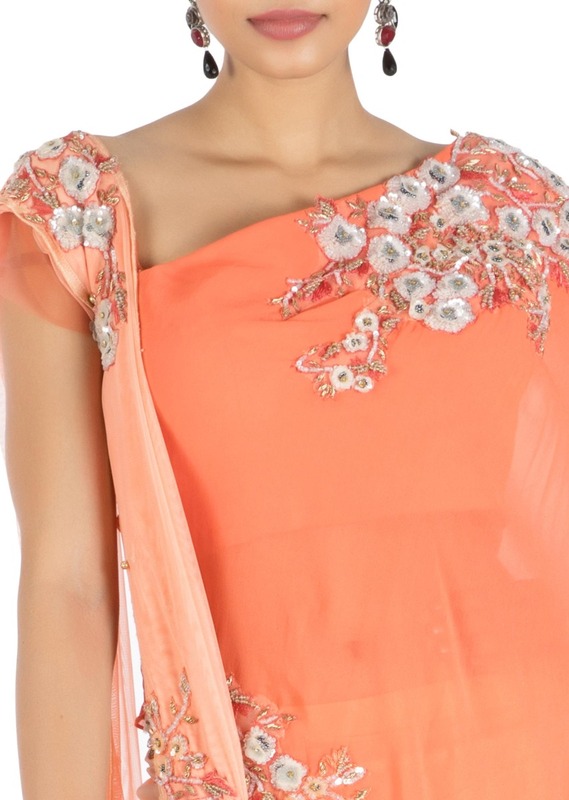 The top has a fitted blouse inside and a light peach net pleated dupatta is attached to the blouse on one side. 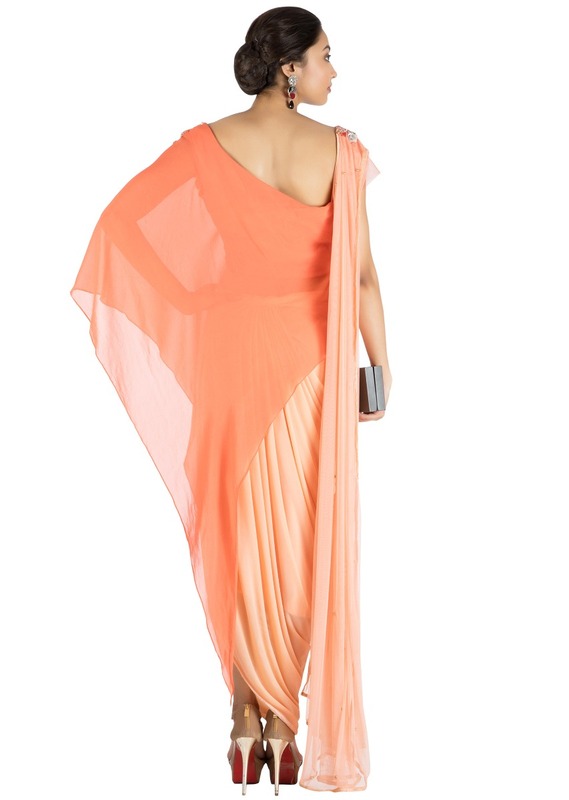 The lighter peach lycra drape skirt adds a modern look to the ensemble. FABRIC SPECIICATION: The top is made of georgette and net with taffeta lining and the skirt is made of lycra with stretch satin lining,dupatta is made of soft net. Full length of the inner top is 15", assymetrical cape is short side 20" long side 48" and the skirt is 41".